A crucial book of magic has gone missing and must be found before it can be used to summon a powerful primeval demon. Once again, trouble is brewing in the world of magic: A priceless treatise has gone missing and if it falls into the wrong hands, a demon that was banished long ago could be summoned from exile. Magic Academy II, is played from the perspective of Irene, who wishes to continue her training at Tirisfal Fortress, where her sister, Annie, holds an important position. As the search for the missing book continues, evidence mounts that Annie stole the book. Irene wishes to clear her sister's name and meets with several members of the fortress' Council while trying to find the real thief, who used to the treatise summoned a powerful primeval demon. 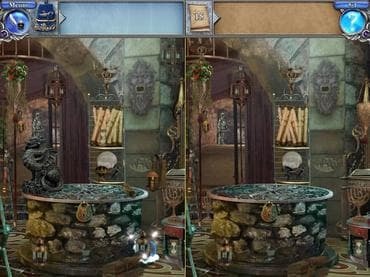 Magic Academy 2 is a hidden object game with a narrative that requires the player to solve various mini-games to find the clues needed to find the missing treatise and banish the demon. Free Game features: - More than just hidden objects - find the clues, solve puzzles, play mini-games to unlock the adventure; - Original script with unusual and entertaining characters; - Great graphics, music and voice over. If you have questions about Magic Academy 2 game, please contact us using this form.